Earlier this week, I went to do my bi-annual dental exam and forgot to bring cash to pay the dentist. The receptionist pointed me to an ATM inside a corner liquor store, but the store looks rather sketchy. Instead, I walked into a nearby grocery store which looks so much more reputable and asked if they do cash back to which the cashier lady said yes, so decided to buy some bananas to do the cash back. 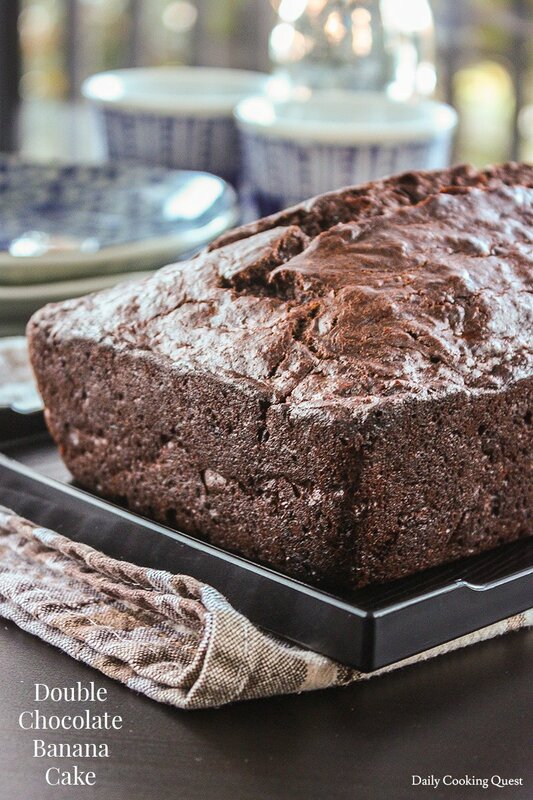 And that’s the story of how I ended up with an extra bunch of bananas, and they are going to become this super delectable double chocolate banana cake (or call it bread and eat it for breakfast). And, in case you are wondering, nothing wrong with my teeth, woohoo, a regular cleaning is all they need. 1. Peel bananas; 2. Mash bananas; 3. Add melted butter, brown sugar, egg, and vanilla extract; 4. Mix. It is super rare that I make a step-by-step shot, but decided to give it a try and I hope you like it. 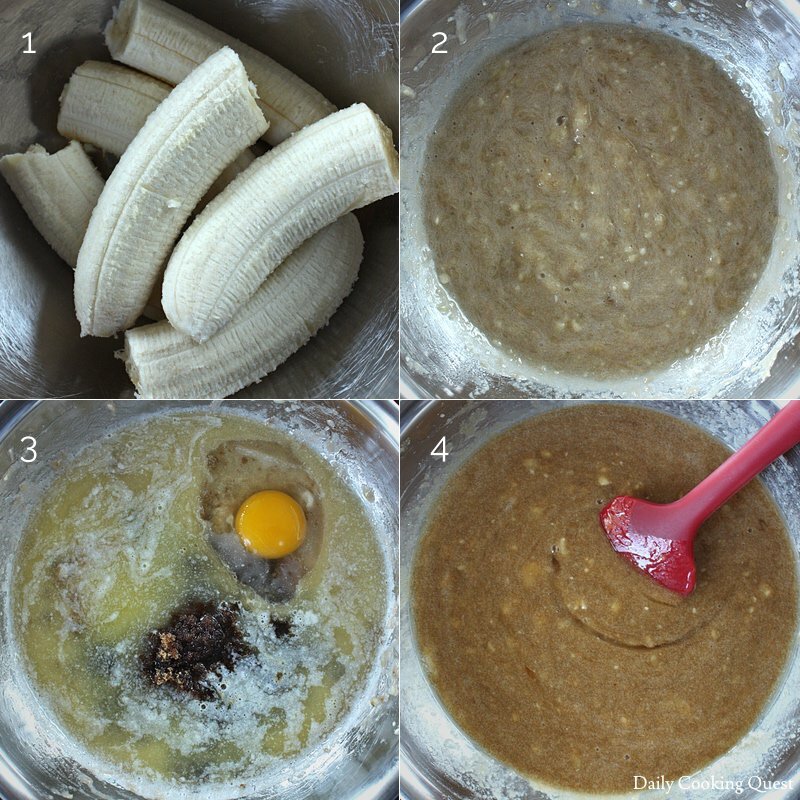 Here is the explanation for the first 4 photos: peel 3 ripe bananas, mash them with fork (should get a bit more than a cup worth of mashed banana). Add melted butter, brown sugar, egg, and vanilla extract, then stir until well mixed. 5. Sift all purpose flour, cocoa powder, baking soda, and salt; 6. Stir until just combined; 7. Add chocolate chunks; 8. 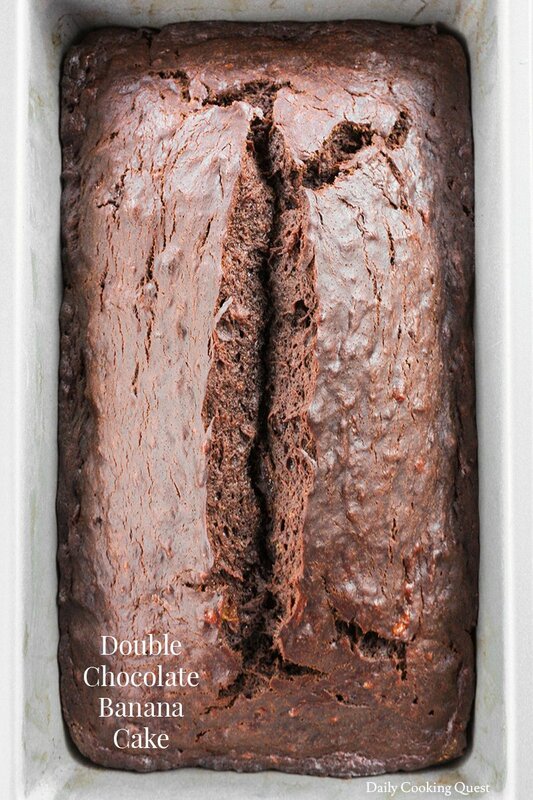 Stir and pour into a greased 9"x5" loaf pan. For the next 4 photos: sift all purpose flour, cocoa powder, baking soda, and salt. Stir just until combined, then add chopped dark chocolate chunks, mix a bit, and pour the whole thing into a greased 9”x5” loaf pan. Then bake in a (175 Celsius) 350 Fahrenheit oven for about 1 hour, or until a cake tester comes out clean. Phew, that was kinda fun. Once the cake is done, let it rest first in the pan for about 15 minutes. Then run a knife along the edges to loosen the cake. Invert the cake to a wire rack and let it cool completely. You can serve this warm, or room temperature. If you are going to finish the cake within 3-4 days, you don’t even have to store it in the fridge. 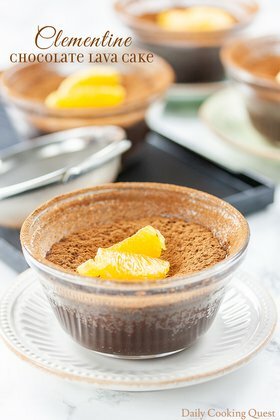 To make this even more delectable, serve with whipped cream/ice cream and fresh berries. Preheat oven to 175 Celsius (350 Fahrenheit). Grease a 9"x5" loaf pan, set aside. In a mixing bowl, stir together mashed banana, melted butter, brown sugar, egg, and vanilla extract. Sift all purpose flour, cocoa powder, baking soda, and salt into the mixing bowl. Stir until the wet ingredients and the dry ingredients is just combined. 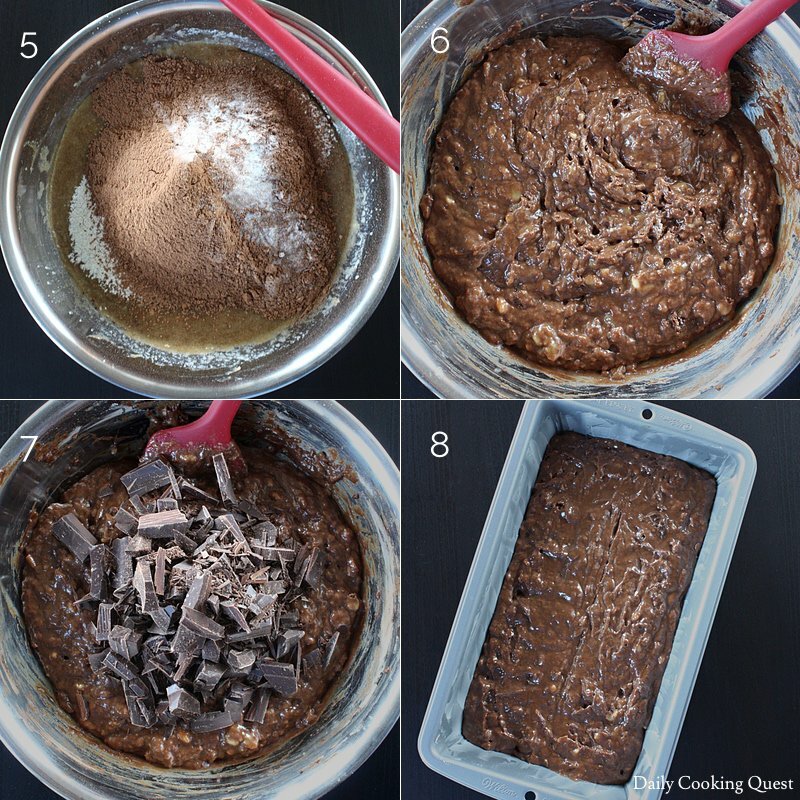 Add dark chocolate chunks, stir to distribute evenly, then pour into prepared loaf pan. Bake for about 1 hour, or until a cake tester comes out clean. 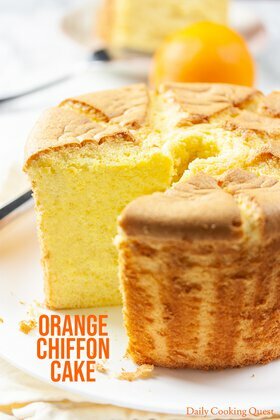 Let the cake rest in the pan for 15 minutes, then run a knife along the pan edges to loosen the cake, invert it onto a wire rack to cool completely. Serve warm or at room temperature.